Belize and Ambergris Caye Island enjoy celebrating special events throughout the year. 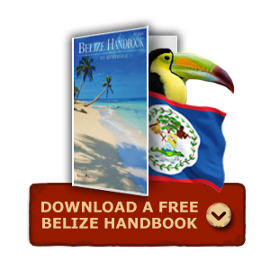 Discover all of the fun events and festivals celebrated throughout the entire country of Belize. Dates for these events vary from year to year, so be sure to do an Internet search on the ones you are interested in if you want to visit at a time you can attend. Fiesta de Carnival - Exciting yearly event celebrated nationwide bringing back traditions of Belizian culture. Groups compete in comparsas (special dances). Held one week before Lent. International Bullfish Tournament - Prize of $50,000 to angler landing blue marlin over 500 pounds. Sponsored by the Belize Game Fish Association. San Pedro Carnival - Ambergris Caye Island. Slowly evolving from slapstick fun using powder, flour, lipstick and paint to tease people, to a more traditional Mestizo carnival made up of competing comparsas. Annual Agricultural & Trade Show - Held in Belmopan, Orange Walk Town and nearby Chan Pine Ridge every two years. Livestock, handicrafts, traditional costumes and dances. Baron Bliss Day - Celebrations held nationwide to honor this great benefactor of Belize. Harbor regatta is held in front of the lighthouse where he was buried. Horse and cycle races are also held. Trade & Livestock Show - Held in Belmopan at the National Agricultural Showgrounds every other year, the last weekend in March. Features rodeo. Good Friday in Ambergris Caye and Caye Caulker - Special Catholic Church services. Beginning at 3p.m., most villagers participate in procession carrying the cross through town. Holy Saturday Cross Country Classic - Bicycle race in Belize City, continues on Western Highway, circles around park in San Ignacio and returns to a dramatic finale in Belize City. International participation. Easter – Ambergris Caye. After San Pedranos attend church on Easter day, families and visitors alike are out and about, socializing and celebrating. There are always events and contests, with a focus on fun for the kids. Examples include the kite design and flying contest and the underwater Easter egg hunt. The San Pedro Eco-Kayak Challenge – typically scheduled around Earth Day. This is a grueling kayak race that starts on the lagoon side of San Pedro, Ambergris Caye. Entrants kayak all the way from town to the Mexico cut and back in a two-day event. It culminates with the local residents cheering on their favorite team as they kayak back to the town square on Sunday. San Jose Succotz Fiesta - Local fair celebrating the day of their patron saint. Entertainment for kids, rides, food, marimba music. Cashew Festival - Crooked Tree Village. Celebrating the cashew harvest season. Live Punta music, cashew wine, Caribbean-style dishes, games, folklore stories. Cayo Expo - San Ignacio. Displays of local crafts and products. Sample local foods. Coconut Festival - Caye Caulker. Food, beverages, crafts, parade with prize for floats, coconut competition, dancing. Commonwealth Day - Celebrated nationwide as the Queen's birthday. National Sports Council holds horse races in Belize City at the National Stadium and in Orange Walk Town at the People's Stadium. Cycle races are held between Cayo and Belmopan. Labour Day - Address by the Minister of Labour or a representative, followed by parades and rallies held throughout the country. Kite contest, cycle race, harbor regatta, horse race. Toledo Festival of Arts - Week-long festivals in which school children depict various cultural groups in the district through drama and music. Arts and crafts exhibition includes basketry, paintings, clay sculpture, seashells and calabash vessels. San Pedro Lobster Fest - Lobster season re-opens on June 15th. A week of activities in San Pedro culminates in a lively block party in the downtown square on Saturday night. Local restaurants compete in a contest to prepare the best lobster dish. Visitors and San Pedranos enjoy sampling the creative selection of tasty lobster specialties sold on the square. Dia de San Pedro - Three-day festival honoring St. Peter, the patron saint of San Pedro. Early morning boat parade. Boats and fishermen are blessed, a special mass is held and a fiesta/jump-up follows. Benque Viejo del Carmen Fiesta - Local fair. Celebrates the day of their patron saint with cultural shows, marimba bands, food and games. Nine days of prayer. BETEX 96 (Belize Tourism Expo) - Belize's first trade show. Theme is "The Ecological Destination of the 21st Century. Deer Dance Festival - San Antonio, Toledo District week-long celebrations. Historical reenactments, costumes, homemade harps and violins. The Costa Maya Festival – Held in San Pedro, this is a festival of music, dance, and foods from Belize, Mexico and the neighboring Central American countries. Tres Pescados Slam Fishing Tournament – A fairly new tournament that’s held on Ambergris Caye (since 2009). The tres pescados are the tarpon, permit and bonefish, which are at the top of any saltwater fly angler’s list. The tournament brings awareness to the world of the need to protect these three special fish. It also intends to pass on a legacy of conservation and enjoyment of these 3 species to future generations of saltwater anglers. Independence Day - Numerous cultural, religious and sporting activities held a couple of weeks before St. George's Caye Day. Flag-raising ceremonies, parades, street jump-ups, music, dance and foods. Crowning of Miss San Pedro. St. George's Caye Day - Celebrates and commemorates a battle in 1798 when the Spanish were defeated by slaves, Baymen and British soldiers. Around the country similar official ceremonies and parades take place. Carnivals, sporting activities, fire engine parade, and pop concerts held several days prior to this event. Belikin Spectacular - Billfish tournament with spectacular prizes. Sponsored by the Belize Game Fish Association. Columbus Day (Pan American Day) - Regatta racing in Belize City. Hike & Bike for the Rain Forest - A two-day cross-country run and mountain bike race. Local and International athletes will compete throughout the Cayo area for the benefit of the rain forest. Pan American Day - Orange Walk and Corozal . Fiestas and beauty contest to celebrate Mestizo culture. Horse and cycle races. Tourism Week: Activities include silent and Dutch auction, grand vacation raffle drawing and fair. Garifuna Settlement Day - Festival, mainly in the southern most areas of the country to mark the first arrival of the Garifuna in 1832 in Dangriga. Stann Creek Agricultural Fair - Exhibits of livestock and locally grown fruits and vegetables. San Pedro Christmas Boat Parade – Held in early December, groups compete by decking their boats with fancy Christmas lights and other decorations. The parade starts at the Town Square on a Saturday night and sails south to Caribbean Villas and back. Then there is a block party in town. Boxing Day - Parties, dances, horse races and some Garifuna dances are performed. Discover Ambergris Caye and Belize for yourself during a Chill Weekend!